This site: Madeira Wine and Dine is dedicated to the wonderful island of Madeira, its wines, its wonderful cuisine and its welcoming people. Madeira wines are amongst some of the world’s greatest and most unique wines. Madeira’s cuisine and dining scene is very vibrant, offering wonderful value for money by providing the freshest of fish (and other delights) that is made extra special by the superb service and the most wonderful of scenery of Madeira. This web site Madeira Wine and Dine aims to inform you about the history of Madeira the island and the wonderful historic accident that led to the creation of one of the world’s unique and most enjoyable wines in the hope you will enjoy this most interesting of wines and visit one of the worlds most remarkable places……Madeira. The grape styles that go to give Madeira wine its unique flavour and taste – Sercial, Verdelho, Bual and Malmsey are explained and suggestions made as to which food best accompanies these wines . Other grapes including Terrantez and Tinta Negra are covered and a little information about the growing production of Madeiran table wines – Madeirense (DOC) and Terras Madierense is included. The role Madeiran wine casks play in maturing some of the finest Scotch, Welsh and Irish whiskies is noted. The unique method of producing Madeira wine is explained (Canteiro and Estufagem)…the role of heating and maturation the wines in the gentle Madeiran climate, the importance of age and how to read the label to appreciate and understand the styles and varieties of Madeira’s wines. Advice is provided on tasting Madeira wine and which food best accompanies the differing styles of Madeira wine along with some paring to the Madeiran cuisine. A short exposition is provided as to what typical Madeiran dishes are usually found at the many excellent restaurants all over the island. The current producers of Madeira wines are listed with a little advice – try before you buy ….no visit to Madeira is complete without a visit to one of the producers tasting rooms where a warm welcome is assured. The Madeira wine producers are Barbeito, Blandy’s (who also include Cossart and Gordon, Leacock’s and Miles), Borges, D’Oliveira, Faria, Henriques and Henriques and Justino’s and it is possible with some organisation and planning to visit them….indeed it is strongly advised. 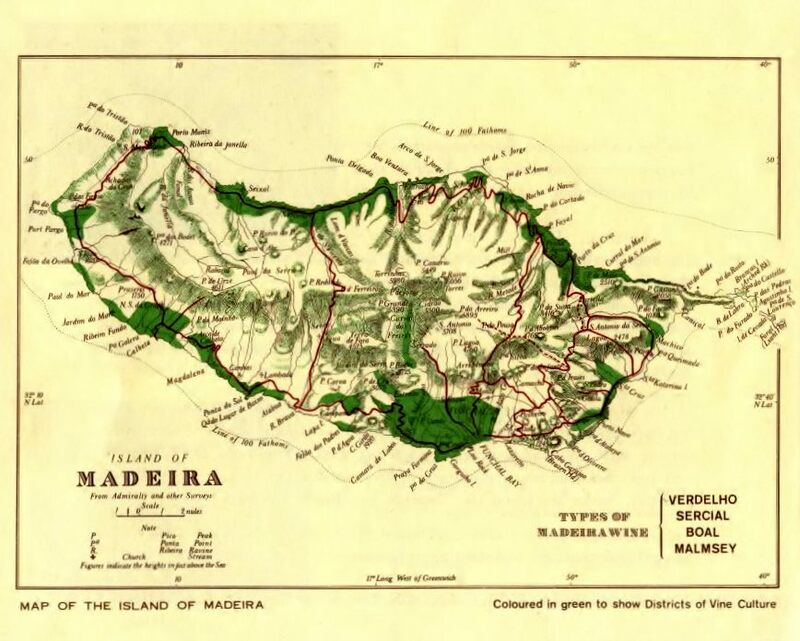 This site is illustrated by a series of wonderful old pictures taken from producers web sites, along with their logos and recent photos (credits made), posters and pictures in wine lodges taken by the author and an old illustrative history of Madeira which is still I believe in a hotel library in Funchal. All opinions offered are those of the author who has been a regular visitor to Madeira for over 25 years who has a passion for all things Madeiran.